Max. number of crew 7 Pers. 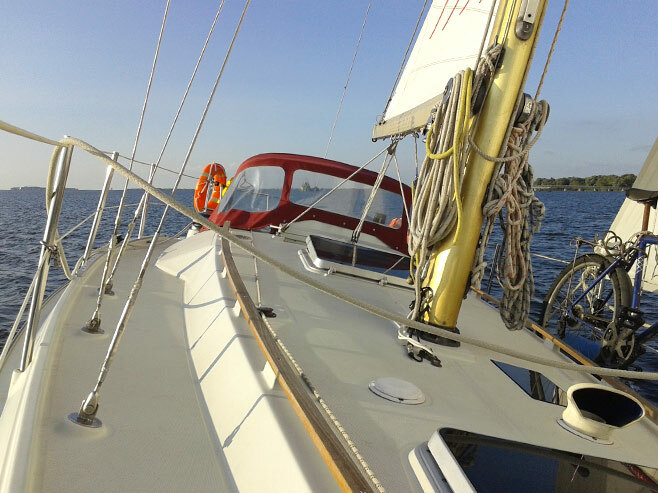 The boat was designed by Michael Dufour and built by Dufour Yachts. 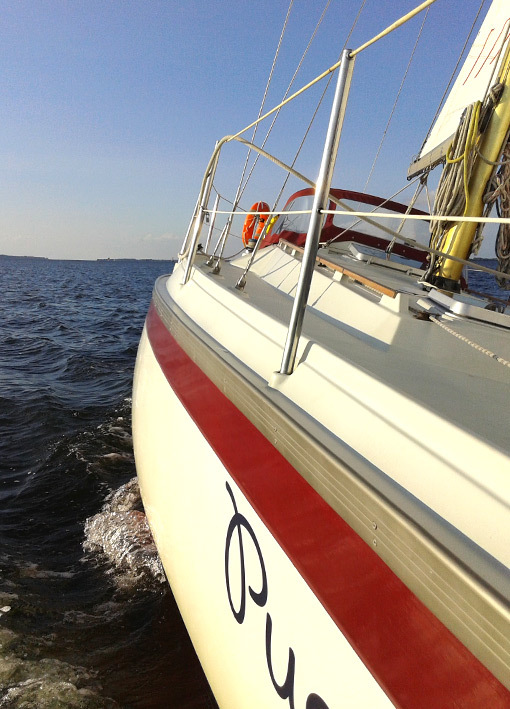 It has a dynamic look and it sails the way it looks, with great manoeuvrability due to the old-school tiller steering. 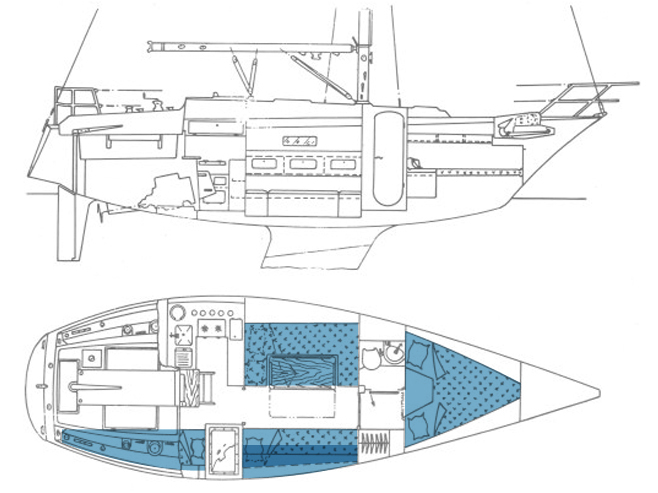 Spacious side decks and a low quarterdeck make life easy for the crew onboard. 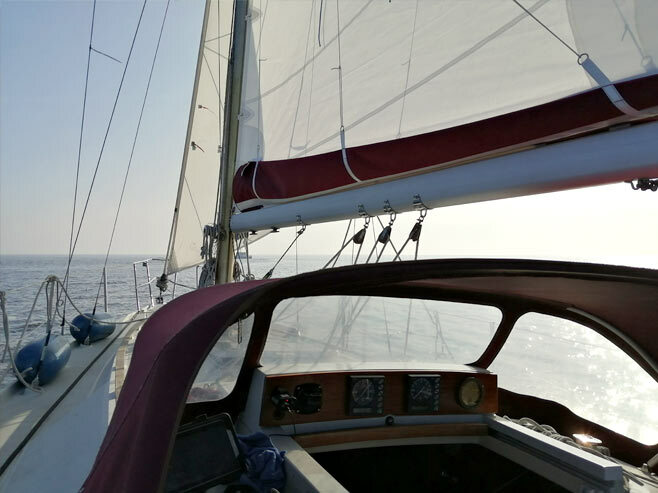 The overall length of 10,25 m and overall beam of 3,30 m gives you plenty of room outside, the high side boards offer safety and lots of comfort inside. 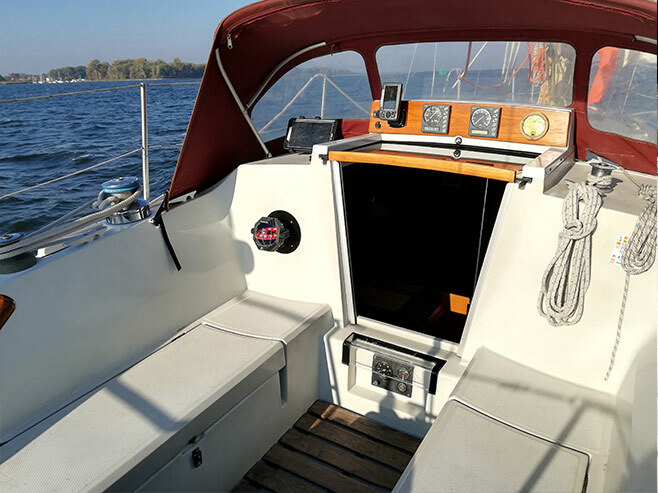 With a standing height of 2,20 m and a smartly planned interior you will love spending time down below. 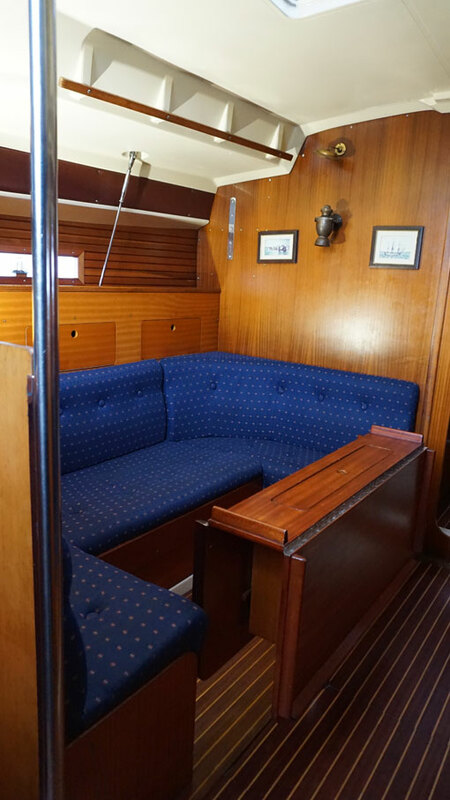 The spacious saloon comes with a good size table and bar at the center will easily host the entire crew. The cook can really feel at home in the galley. The bar separates the saloon giving you some extra comfort while preparing meals. It also serves as extra storage for days worth of supplies. 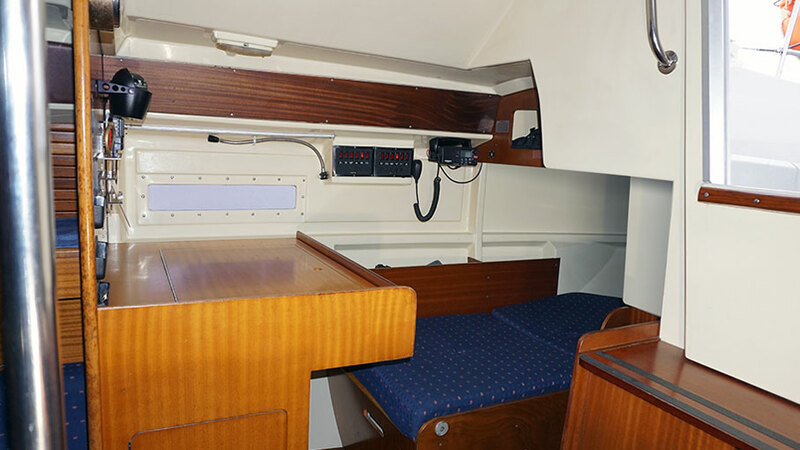 The tired ones can always find peace and quiet in the front double berth cabin separated from the rest by a double door. 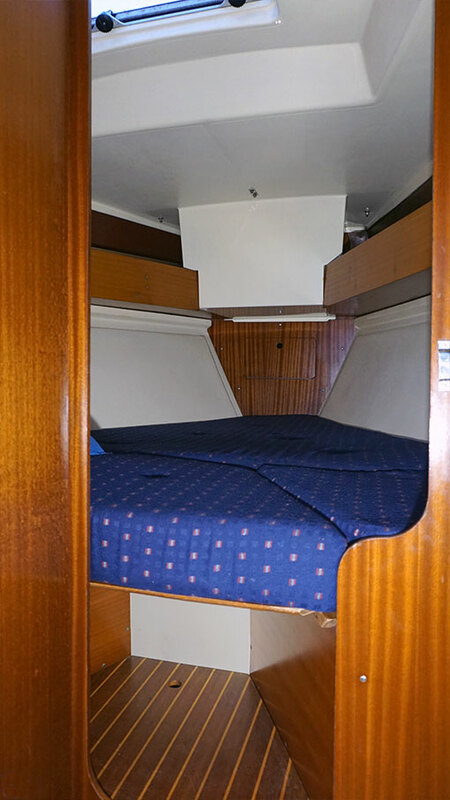 There are 4 other berths in the saloon. 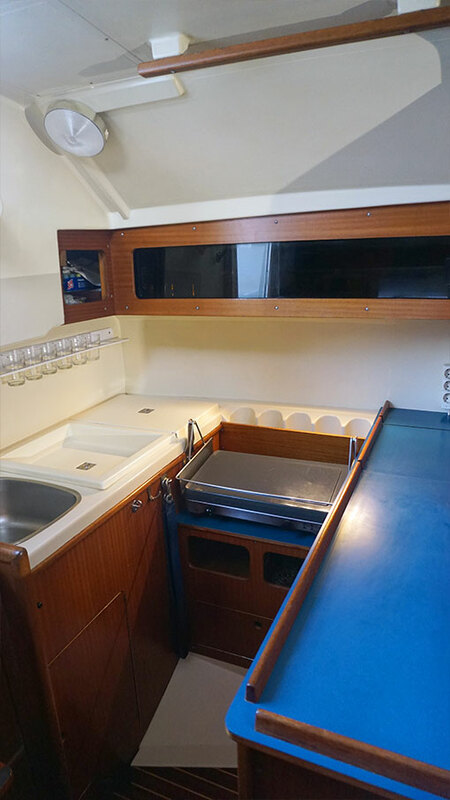 Opposite the galley you will find a large navigation table and a spacious doghouse berth. 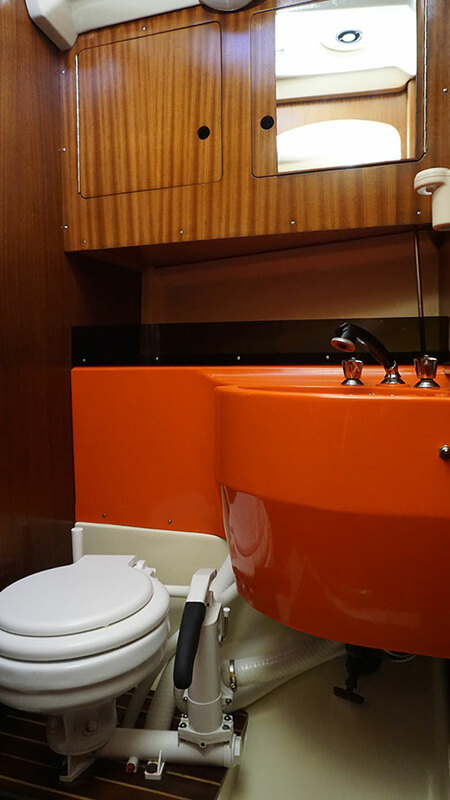 The toilet is located in a separate room which also houses a wardrobe cabinet with shelves. 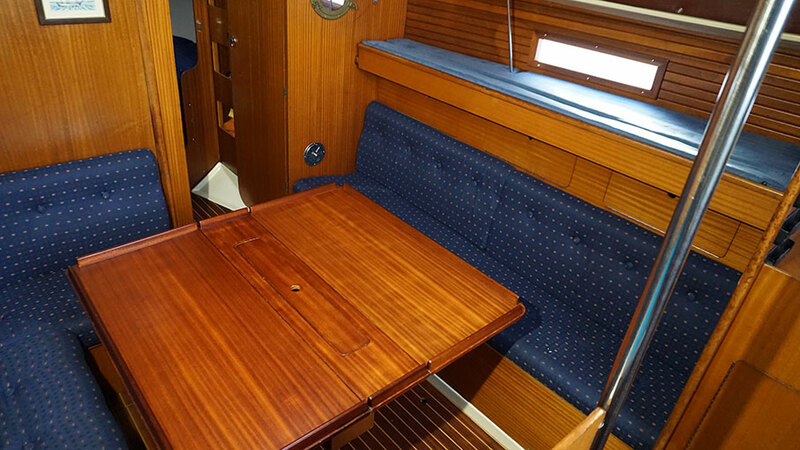 The interior is finished in beautiful mahogany. 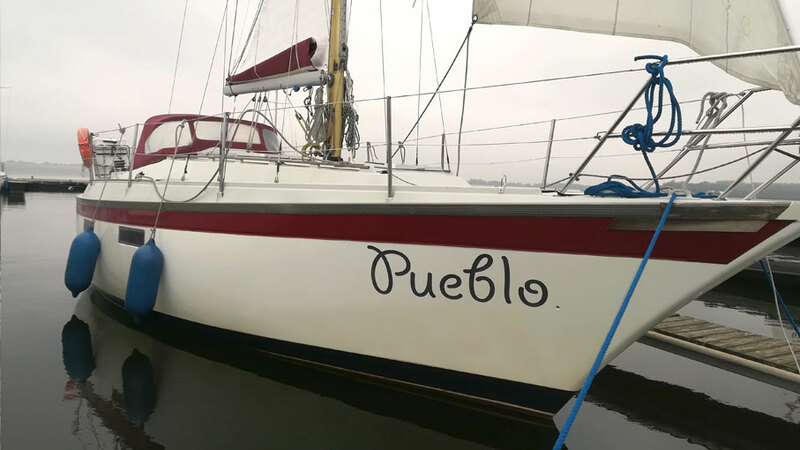 The boat has a twin battery pack, one of which powers up the engine, the other is responsible for the exterior and interior lights, water pump, bilge pump and the electronic systems. 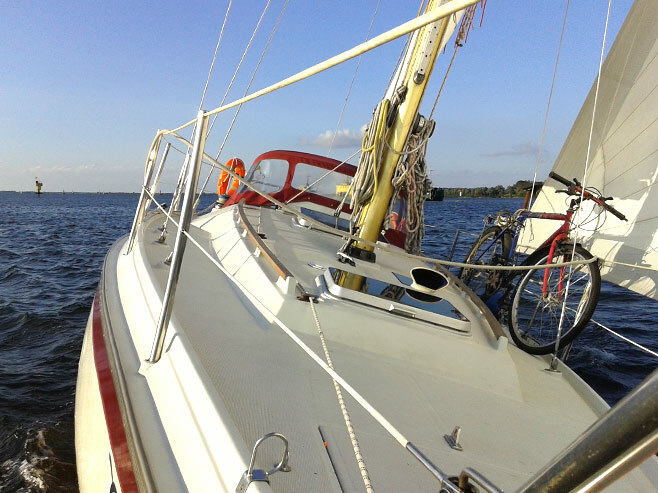 It’s equipped with a rollfock and ready for inland as well as coastal sailing. 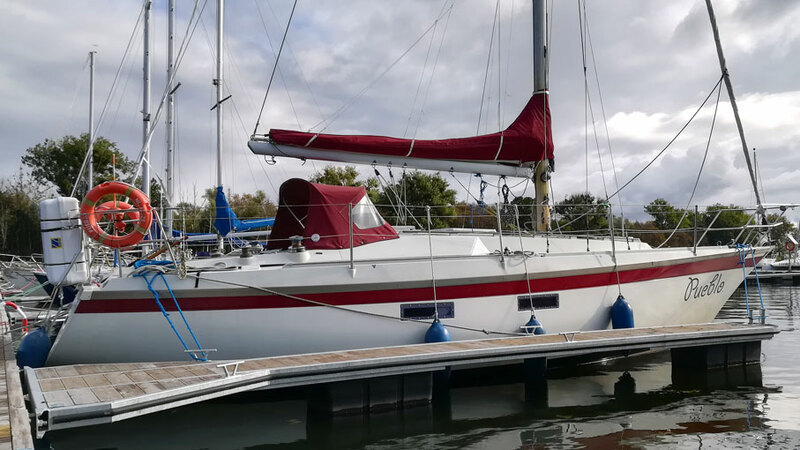 Roll genua, storm jib, mainsail with reefing, bath ladder, tent, sink, fully equipped galley, water pump, toilet with sink in separate kabin, pump water toilet, electric 230 V heating, fuel tank 80 l, water tank 150 l, compass, echo sounder, UKW radio LOWRANCE Link-5 with DSC, GPS Lowrance Elite-4m HD with maps, Tablet with GPS and maps NV Verlag, two batteries and charger (fully automatic charge), socket 12V and 220V, CD radio, autopilot Rynmarine ST2000, sprayhood, safety equipment, toolbox and maps. ul. Przestrzenna 21, 70-800 Szczecin, Jezioro Dąbie. 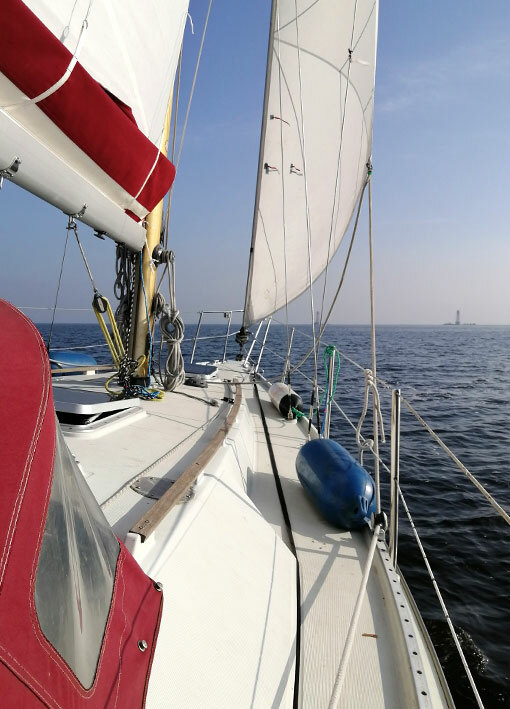 (Lake Dąbie), Poland. Parking within the guarded facilities.